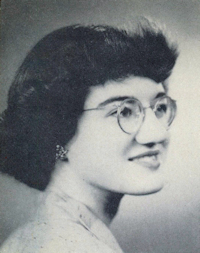 Obituary – Mitchell, Bonnie Irene (Haefner) « Perry High School Alumni Association, Inc.
Student Director Junior Play, 53-54. Bonnie Irene Mitchell, 79, passed away peacefully December 5, 2016. 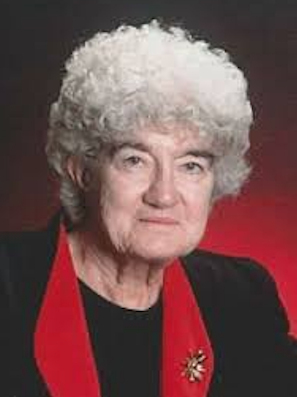 She was born November 15, 1937 in Breckenridge, TX to the late Harry and Vannie Haefner. She was the oldest of 7 siblings including three brothers, Harry, Leroy, and Willie and three sisters, Minnie, Ada, and Cindy. Leroy preceded her in death. She grew up in Perry, OK, graduating in 1955. She then studied advanced accounting at Draughons School of Business in Tulsa. Bonnie married Raymond Thompson in 1961, settling in Kelso. They later divorced but remained friends. In 1978, she married Francis Mitchell; he survives her at home. Also surviving are 2 sons, Mark (Tina) Thompson and Kurt (Kaylee) Thompson; 2 step-sons, Allen Mitchell and Arnie (Lu Ann) Mitchell; as well as a step-daughter, Debbie (Art) Carney. She also leaves behind 10 grandchildren and 5 great-grandchildren. Bonnie was a lifetime member of the Cowlitz Coin Club and Valley View Church of God. She enjoyed sewing and traveling, especially spending winters in Arizona. After receiving a heart transplant in 1992, she was a huge supporter of organ donations. She refused to let her new lease on life slow her down and continued doing everything she enjoyed for an additional 24 years. A memorial service will be held at 1 p.m. on Saturday, January 7, 2017 at Valley View Church of God, 1435 33rd Ave, Longview, WA, with a potluck luncheon following.